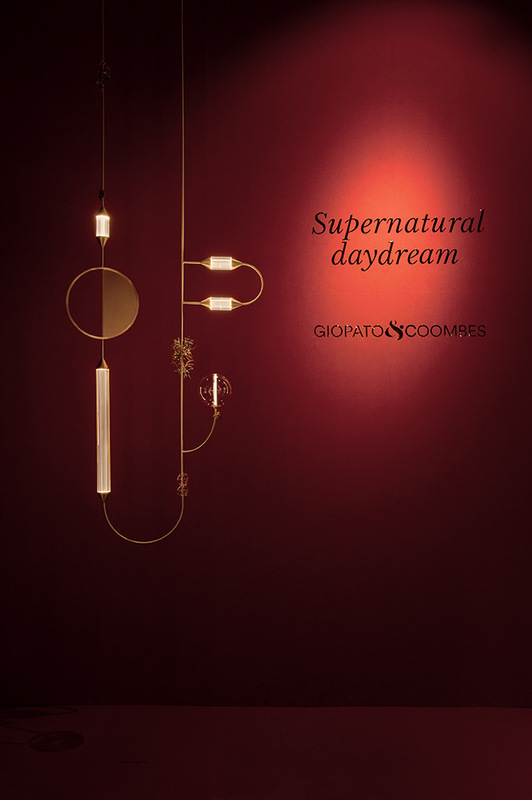 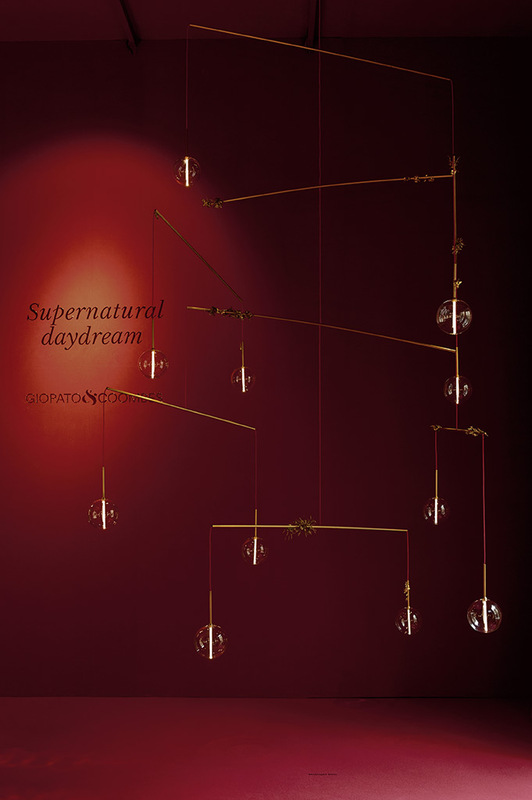 Supernatural Daydream is a special project based on experimentation on the theme of light and the emotions it generates. 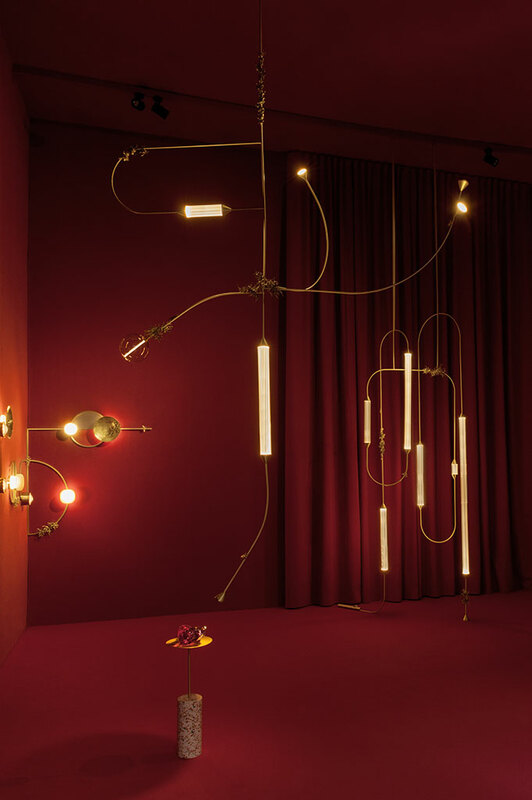 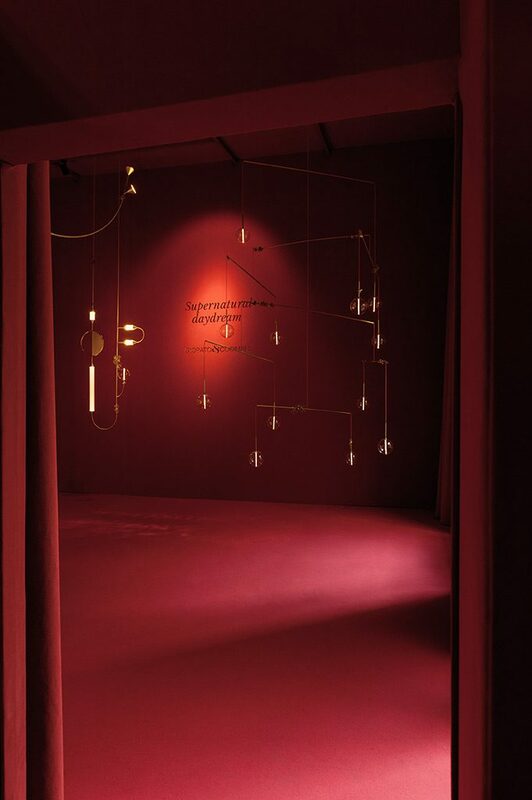 The investigation that ranges through precious materials and high technology, nature and magic, has led to the creation of a series of installations, one-of-a-kind pieces that represent unexpected mutations that emerged during the development and reinterpretation of the catalogue collections. 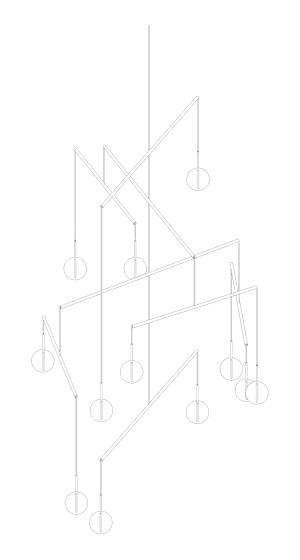 The fundamental inspiration behind the project is the marvellous Cansiglio Forest in the Veneto and the architectural suggestions that arise from the encounter between trees and vegetation: natural geometric forms that lend themselves to the creation of optical illusions, triggered by majestic size in relation to a wealth of details, and the transformations of the landscape depending on its distance from the observer. 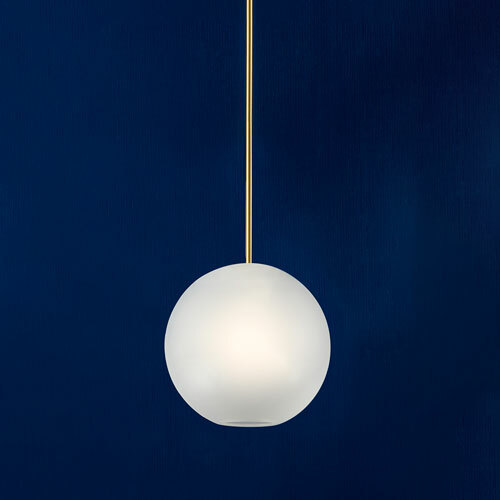 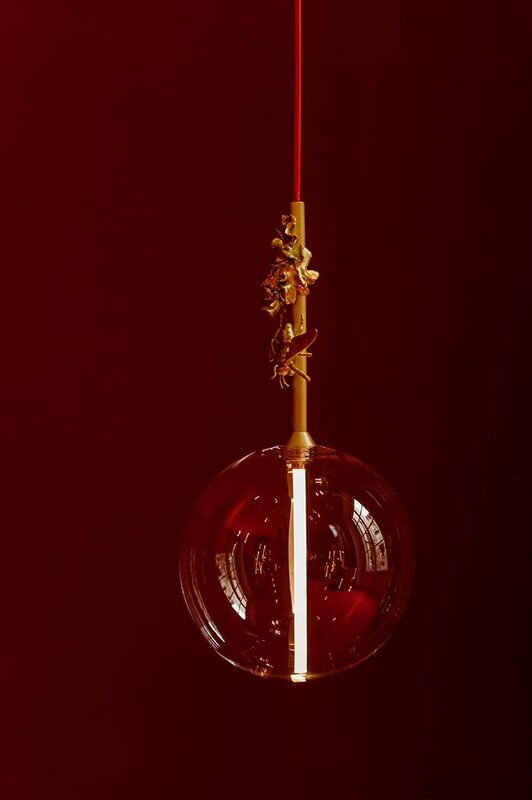 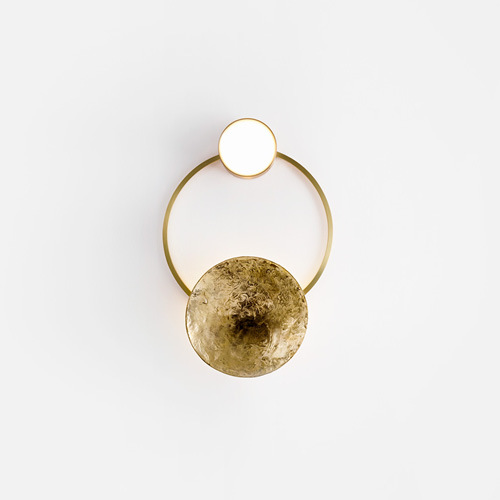 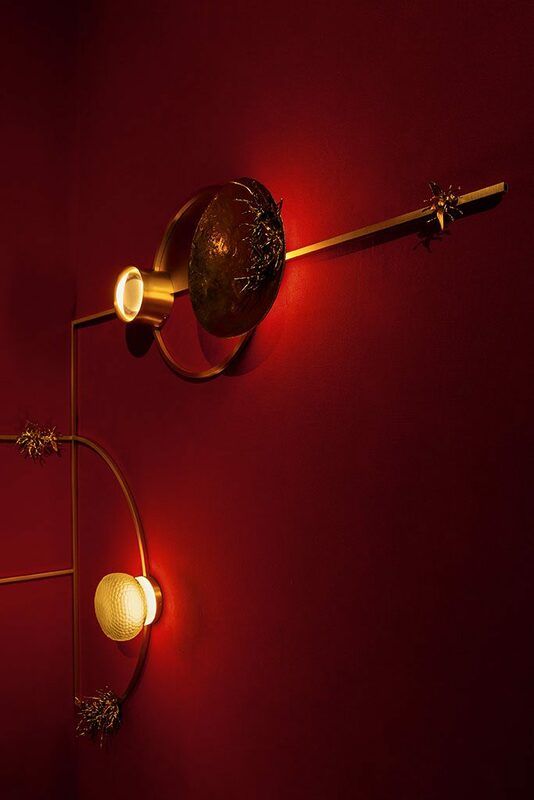 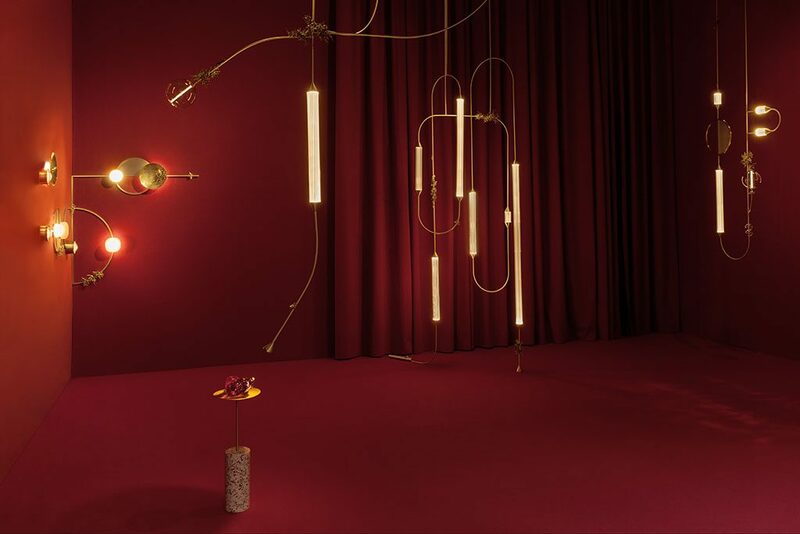 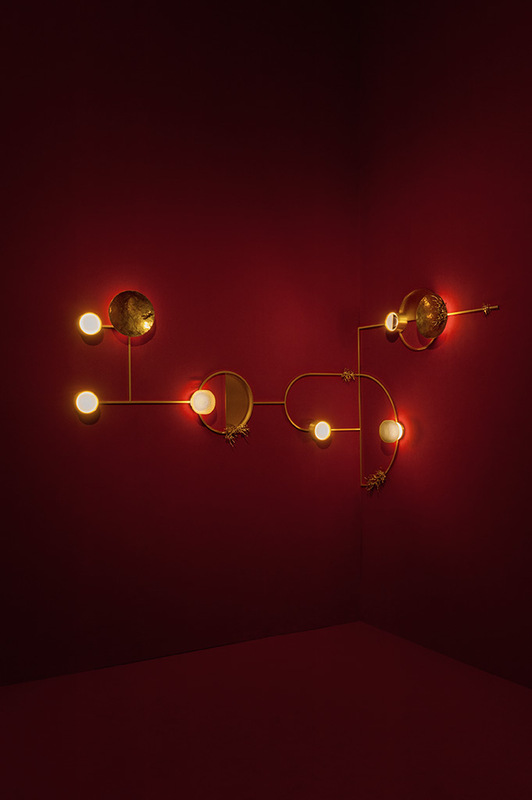 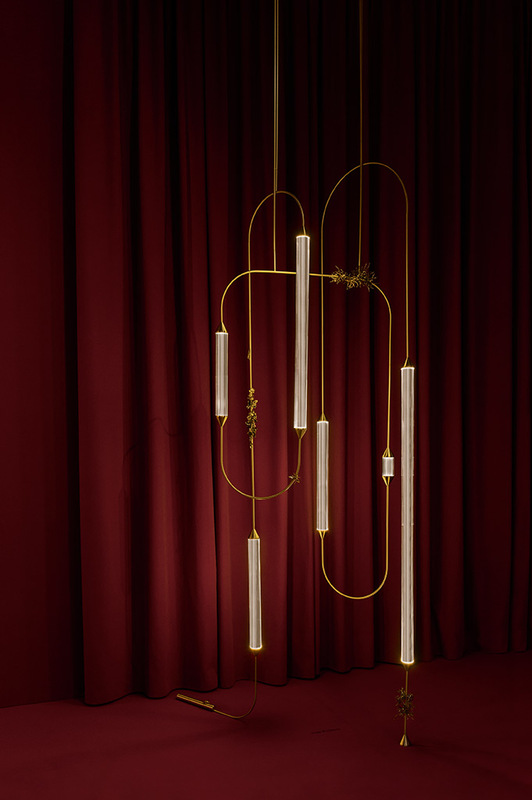 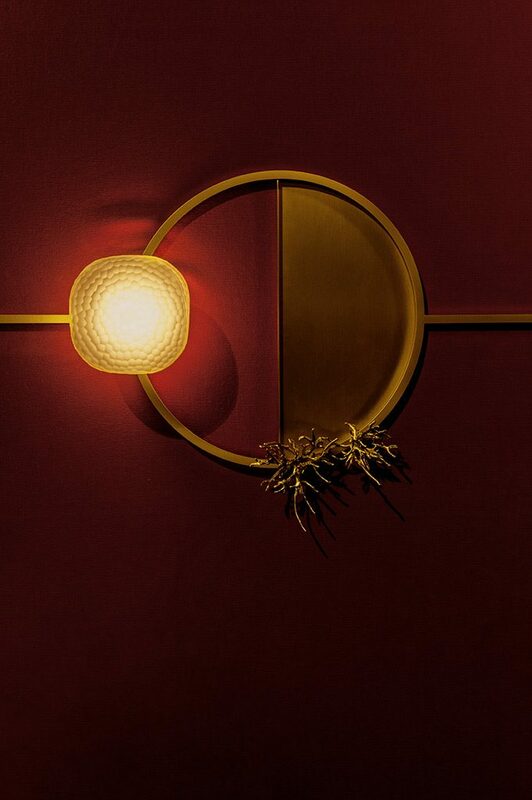 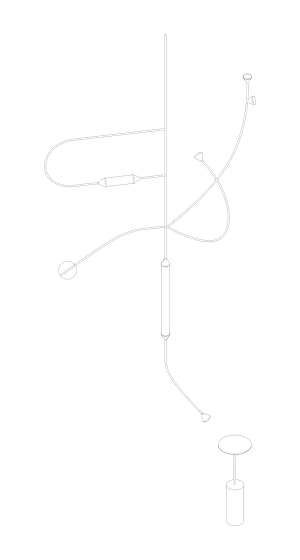 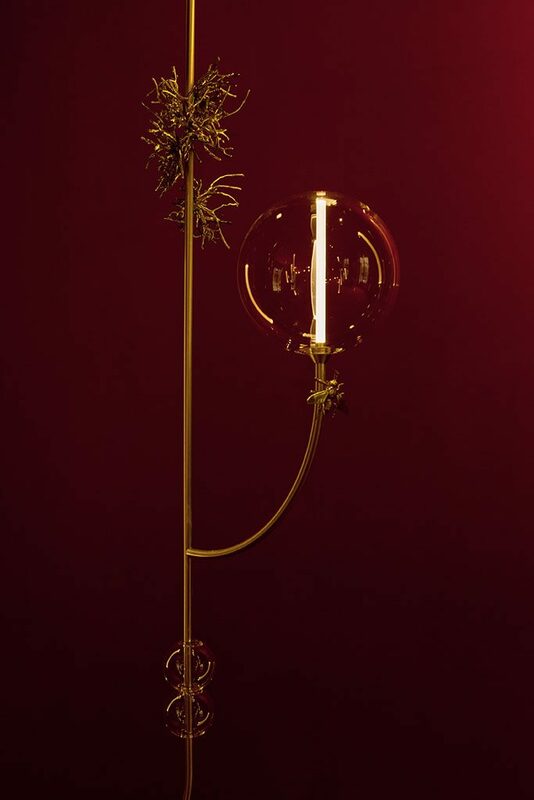 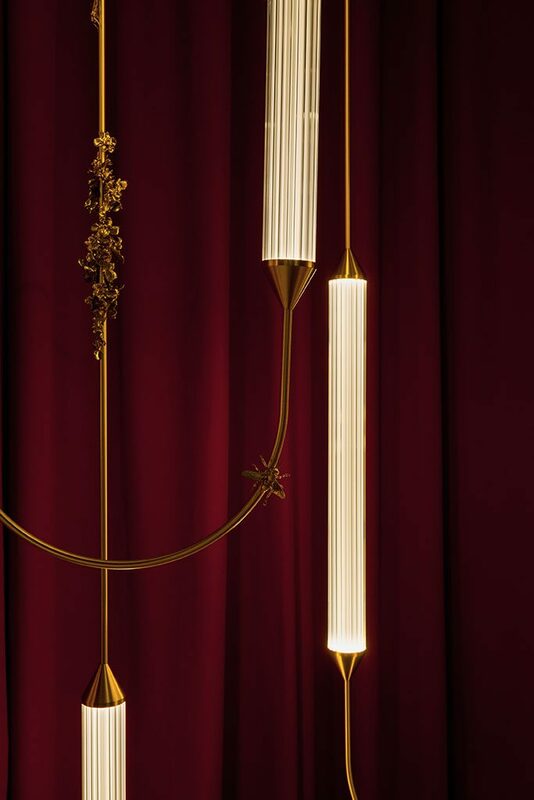 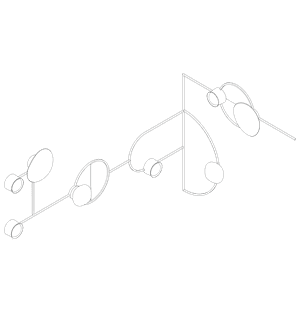 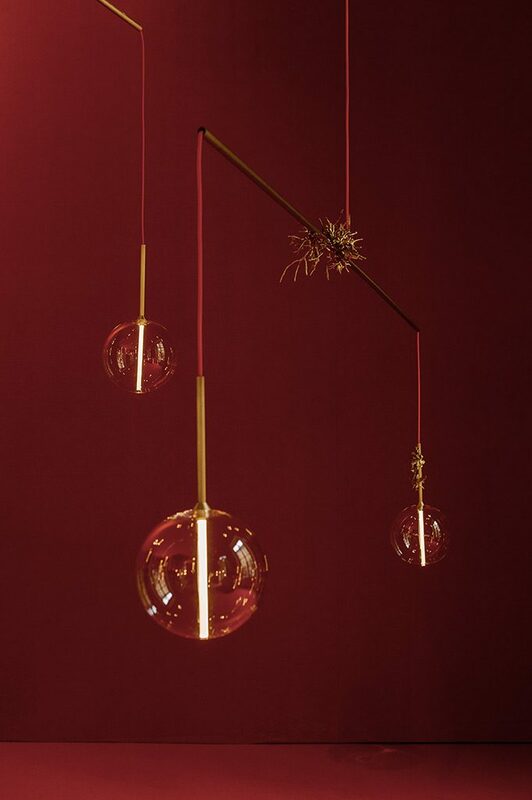 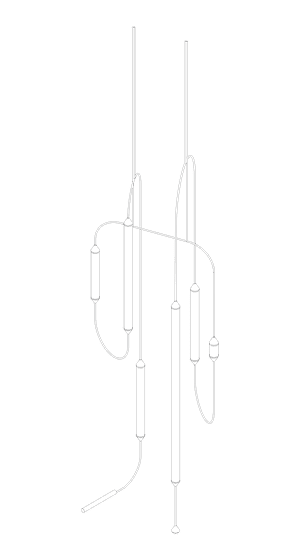 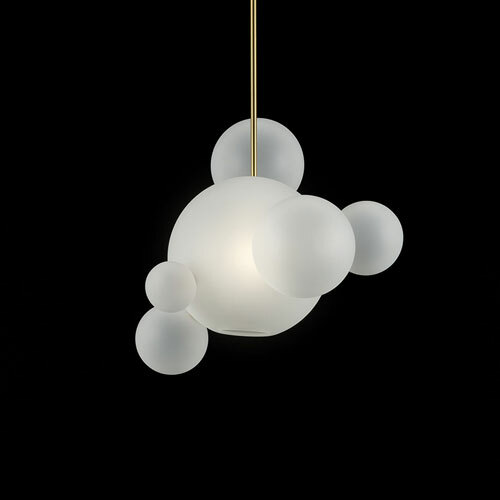 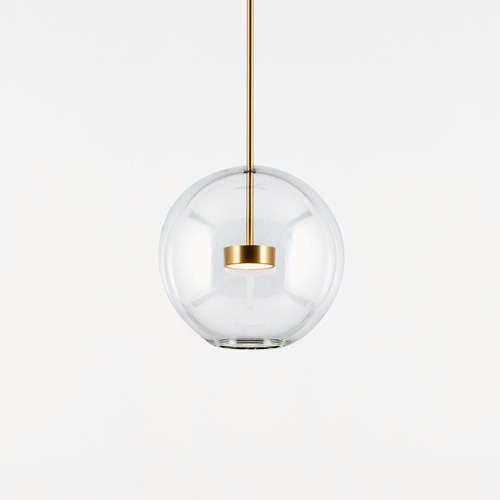 In the research of the designers the forest is extracted from the natural world to become design: five sculptural lamps that seem to be suspended in an enigmatic and abstract reality, on which inflorescences, branches and “supernatural” elements grow, crystallised in brass, as in a process of pollination.